Eight rental car companies are located on the airport. 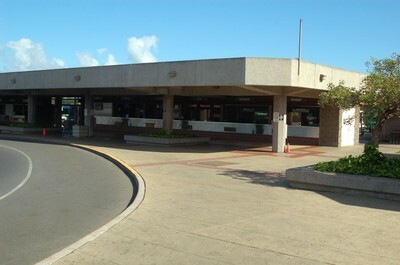 The car rental building is located on the walkway just past the end of the Baggage Claim area. Car rental shuttles stop behind the car rental building. There is one rental car company off the airport property. NOTE: All permittees with an asterisk (*) after the company name have ADA accessible vehicle(s) available. Please call at least 48 hours in advance to make arrangements.